How do you keep your camp safe in the middle of the night when everybody is asleep? If you thought a lantern could never do that job, you were terribly wrong. 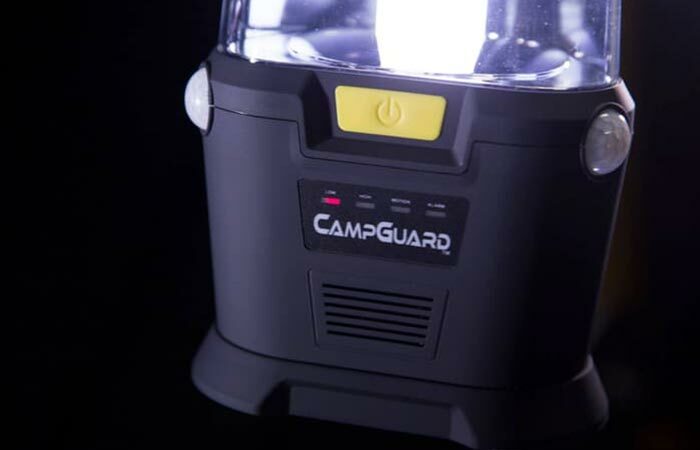 CampGuard serves both as a typical lantern but also as a motion and security system for your camp. CampGuard features an advanced motion detection system that turns on to scare intruders. If it detects any movement, it instantly goes to ultra bright lantern mode and illuminates the area with its 300 lumens. The lantern tracks movement inside 35ft perimeter to secure your camp 24 hours a day. 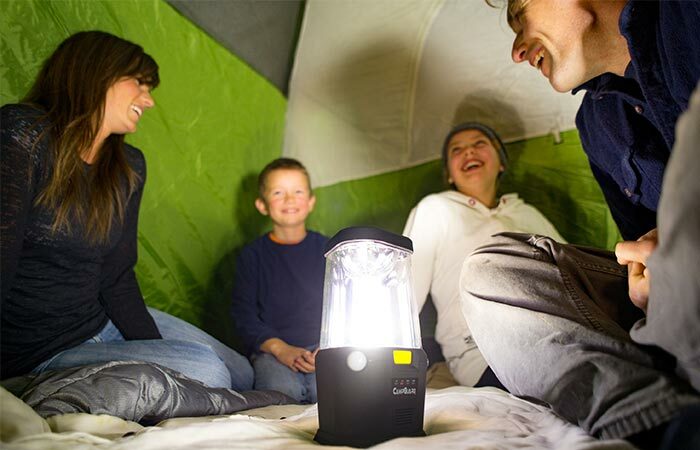 CampGuard has four modes, two that serve as a typical lantern and two for motion and security system for your camp. CampGuard has several modes you can change at a push of a button. The first two modes serve as a traditional lantern with either low (100 lumens) or high (300 lumens) options. The third mode is the security mode that turns on the bright light as soon as it detects something and if there’s no more movement, it turns off after 15 seconds. The fourth mode is the highest security mode because, besides the light, it turns on a loud sounding alarm. This is a great option for areas with a lot of animals around you’d like to keep away from the camp since the sound scares them off. CampGuard keeps tracks of 360 degrees inside a 35ft perimeter. Once activated, it will turn off the light after 15 seconds, if there’s no more movement. Besides security reasons, CampGuard can serve another useful purpose. If you need to get something in the middle of the night or simply empty your bladder, you don’t have to carry a flashlight with you. And when you’re done and go back to sleep, CampGuard will turn the light off as soon as there’s no more movement.